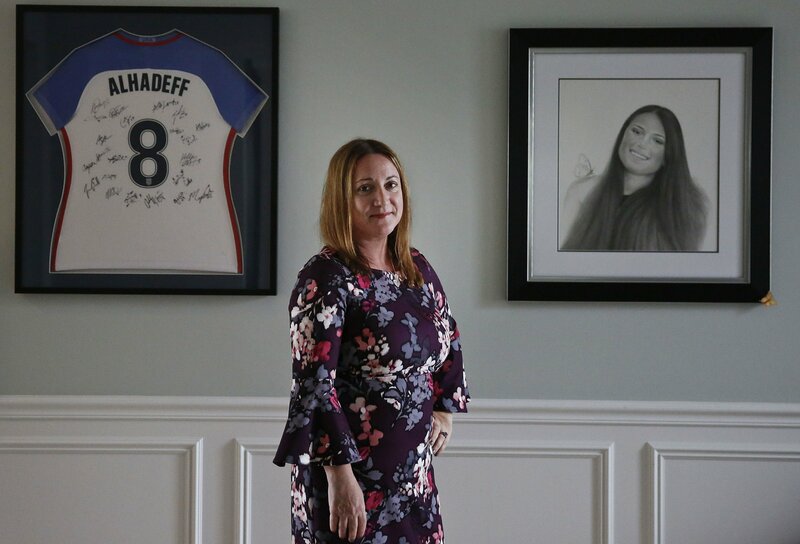 PARKLAND, Fla. (AP) — Every morning, Lori Alhadeff makes breakfast for her two boys, gets dressed and sprays on her daughter's Victoria's Secret perfume.The scent is part of her armor, propelling her through her whirlwind of a day as she fields hundreds of emails and juggles two phones, a constant reminder of why she ran for and won a seat on the local school board, and started a foundation to make schools safer. Why she called out President Trump in a televised, gut-wrenching tirade. "I smell Alyssa," Lori Alhadeff says, "so I feel like she's more a part of me."